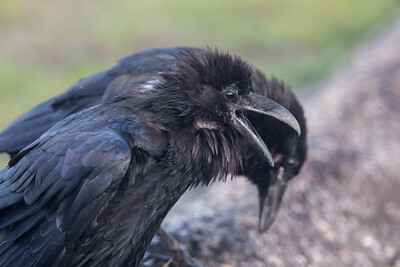 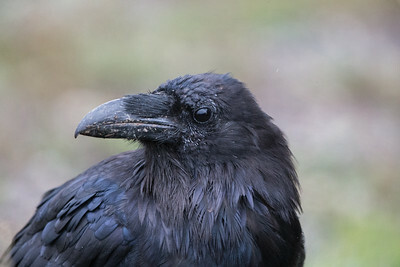 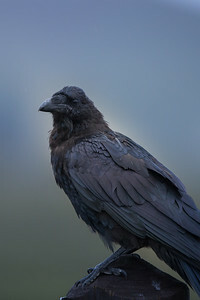 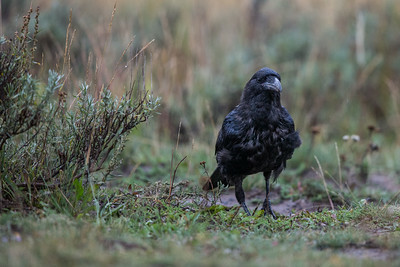 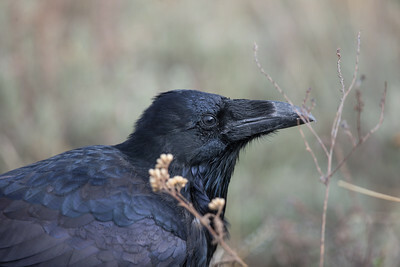 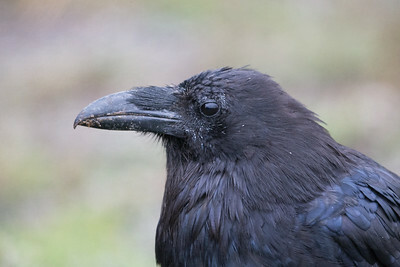 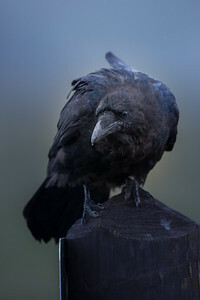 Raven (aka Common Raven or Trickster) found throughout much of northern and eastern North America. 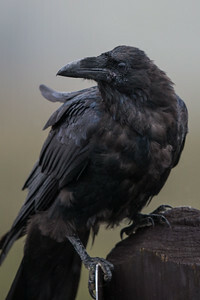 Ravens on the alert for opportunity and mischievousness. 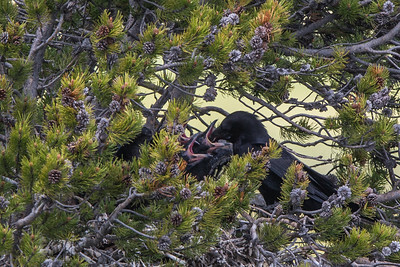 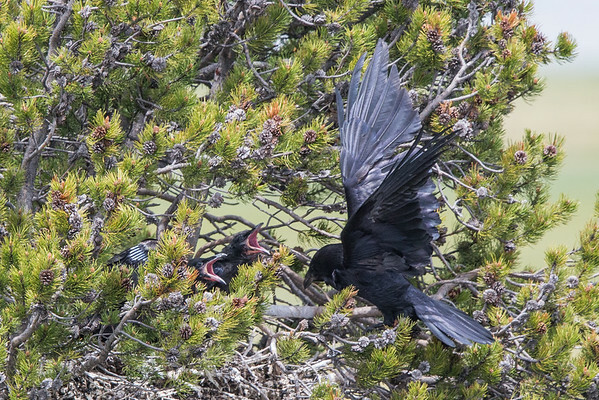 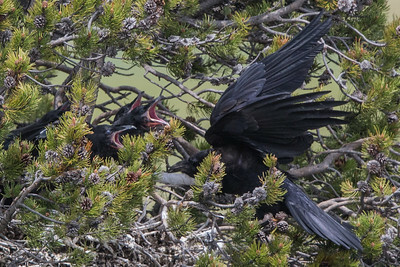 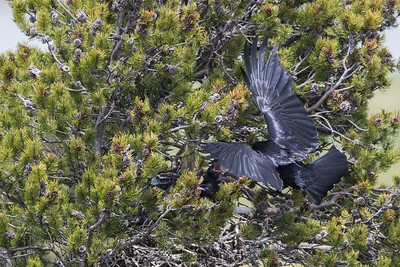 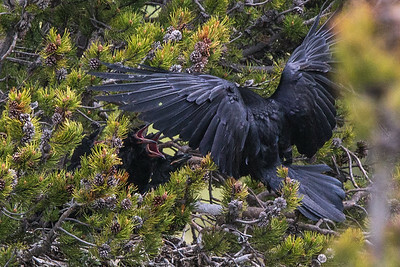 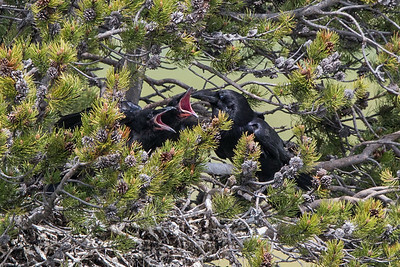 Raven nest in Hayden Valley, Yellowstone National Park.